their nests within a natural, peaceful environment. 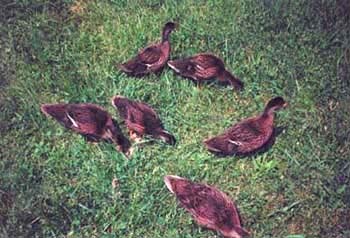 old ducks are pecking through the grass to find insects and worms. 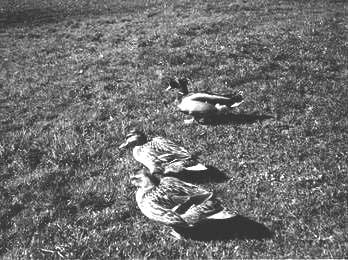 In the photo below are three adult mallards.